The owner of the farm, second from left, watches the HSI Animal Rescue Team carry the crates at a dog meat farm in Namyangju, South Korea, on Thursday, October 11, 2018. The operation is part of HSIs efforts to fight the dog meat trade throughout Asia. In South Korea, the campaign includes working to raise awareness among Koreans about the plight of meat dogs being no different from the animals more and more of them are keeping as pets. 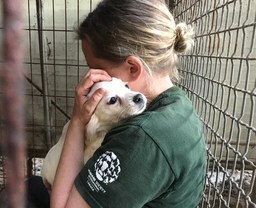 Adam Parascandola, Director of Animal Protection and Crisis Response of HSI, comforts Elroy, a Canada-bound dog, as he rescues him at a dog meat farm in Namyangju, South Korea, on Thursday, October 11, 2018. The operation is part of HSIs efforts to fight the dog meat trade throughout Asia. In South Korea, the campaign includes working to raise awareness among Koreans about the plight of meat dogs being no different from the animals more and more of them are keeping as pets. 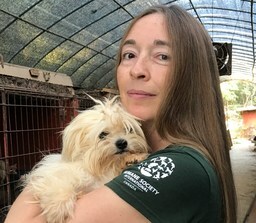 Adam Parascandola, Director of Animal Protection and Crisis Response of HSI, hands over Ethan, a Canada-bound dog, to Mary-Helen Paspaliaris, Volunteer Coordinator of HSI Canada, center, at a dog meat farm in Namyangju, South Korea, on Thursday, October 11, 2018. 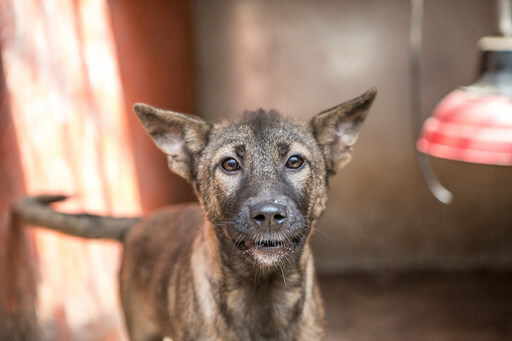 The operation is part of HSIs efforts to fight the dog meat trade throughout Asia. In South Korea, the campaign includes working to raise awareness among Koreans about the plight of meat dogs being no different from the animals more and more of them are keeping as pets. 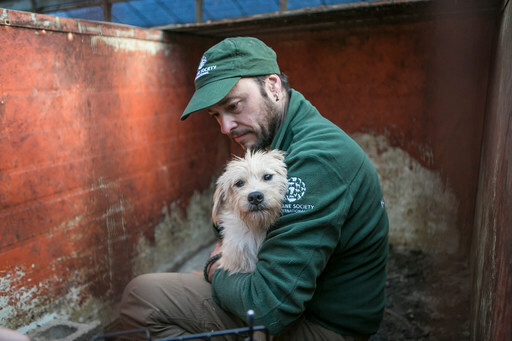 Carlos Zambrano of HSI Canada, right, rescues Antoine, a Canada-bound dog, at a dog meat farm in Namyangju, South Korea, on Thursday, October 11, 2018. 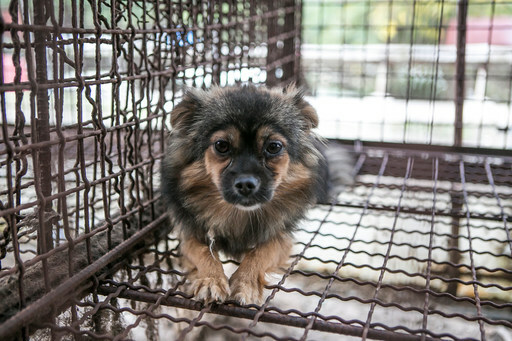 The operation is part of HSIs efforts to fight the dog meat trade throughout Asia. In South Korea, the campaign includes working to raise awareness among Koreans about the plight of meat dogs being no different from the animals more and more of them are keeping as pets. 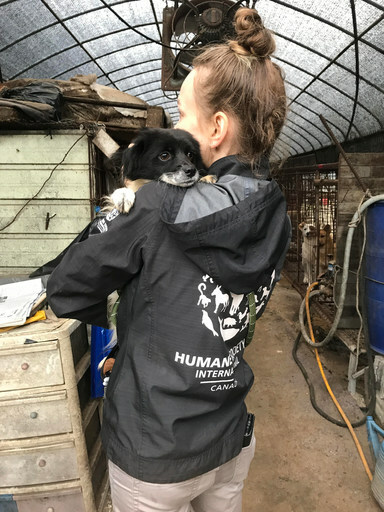 Carlos Zambrano of HSI Canada, rescues Antoine, a Canada-bound dog, at a dog meat farm in Namyangju, South Korea, on Thursday, October 11, 2018. The operation is part of HSIs efforts to fight the dog meat trade throughout Asia. In South Korea, the campaign includes working to raise awareness among Koreans about the plight of meat dogs being no different from the animals more and more of them are keeping as pets. 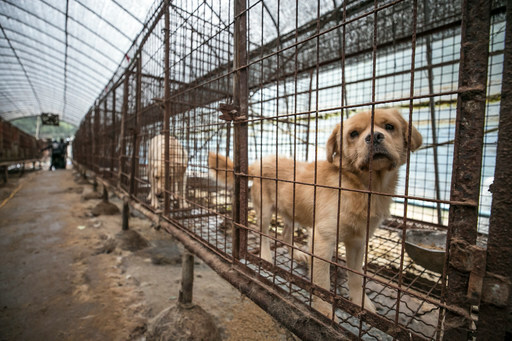 Daphne, a Canada-bound dog, is shown locked in a cage at a dog meat farm in Namyangju, South Korea, on Thursday, October 11, 2018. The operation is part of HSIs efforts to fight the dog meat trade throughout Asia. In South Korea, the campaign includes working to raise awareness among Koreans about the plight of meat dogs being no different from the animals more and more of them are keeping as pets. 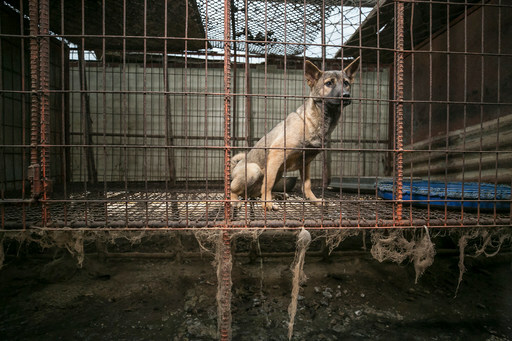 Fanny, a Canada-bound dog, is shown locked in a cage at a dog meat farm in Namyangju, South Korea, on Thursday, October 11, 2018. The operation is part of HSIs efforts to fight the dog meat trade throughout Asia. In South Korea, the campaign includes working to raise awareness among Koreans about the plight of meat dogs being no different from the animals more and more of them are keeping as pets. 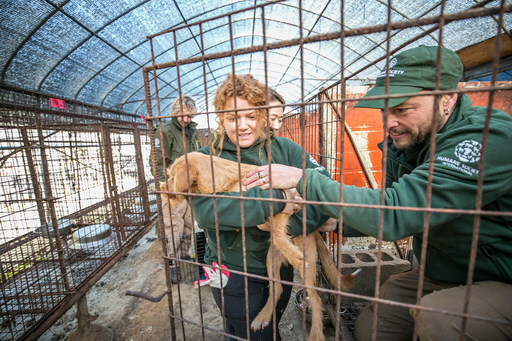 HSI/Canada rescuers saving dogs from a dog meat farm in Namyangju, South Korea. This is the 13th such facility to be shut down by HSI, with dogs heading to emergency shelters and placement partners in Canada, the U.S., UK and Netherlands. Nara, who is bound for the UK, is shown locked at a dog meat farm in Namyangju, South Korea, on Saturday, October 6, 2018. 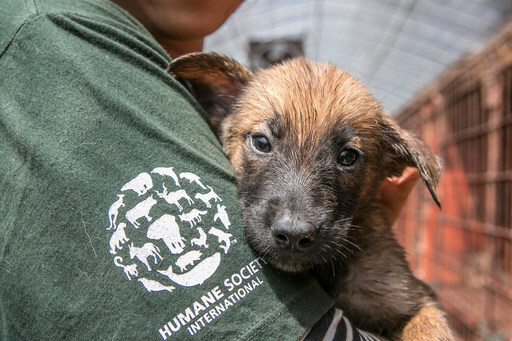 The operation is part of HSIs efforts to fight the dog meat trade throughout Asia. In South Korea, the campaign includes working to raise awareness among Koreans about the plight of meat dogs being no different from the animals more and more of them are keeping as pets. Sandie, left, and Dermot, right, both bound for the UK, are locked in a cage at a dog meat farm in Namyangju, South Korea, on Saturday, October 6, 2018. The operation is part of HSIs efforts to fight the dog meat trade throughout Asia. In South Korea, the campaign includes working to raise awareness among Koreans about the plight of meat dogs being no different from the animals more and more of them are keeping as pets. The HSI Animal Rescue Team moves and loads the crates onto the truck at a dog meat farm in Namyangju, South Korea, on Thursday, October 4, 2018. The operation is part of HSIs efforts to fight the dog meat trade throughout Asia. In South Korea, the campaign includes working to raise awareness among Koreans about the plight of meat dogs being no different from the animals more and more of them are keeping as pets. 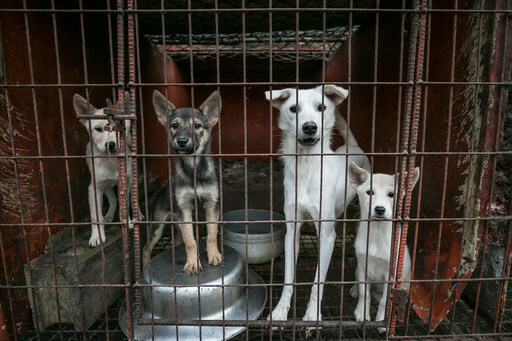 Clove, second from right, a mother dog, and her puppies are shown locked in a cage at a dog meat farm in Namyangju, South Korea, on Thursday, October 4, 2018. The operation is part of HSIs efforts to fight the dog meat trade throughout Asia. In South Korea, the campaign includes working to raise awareness among Koreans about the plight of meat dogs being no different from the animals more and more of them are keeping as pets. 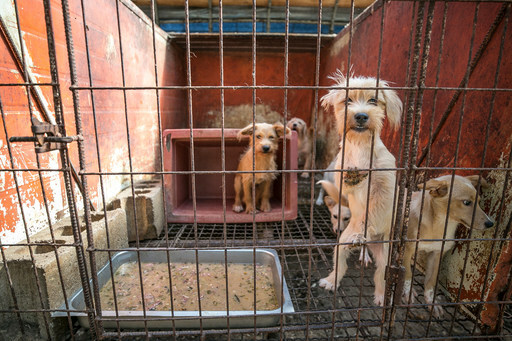 A UK-bound puppy, center, is shown locked with other puppies, at a dog meat farm in Namyangju, South Korea, on Saturday, August 18, 2018. The operation is part of HSIs efforts to fight the dog meat trade throughout Asia. In South Korea, the campaign includes working to raise awareness among Koreans about the plight of meat dogs being no different from the animals more and more of them are keeping as pets. Nara Kim, Campaign Manager in South Korea of HSI, holds a UK-bound puppy at a dog meat farm in Namyangju, South Korea, on Saturday, August 18, 2018. The operation is part of HSIs efforts to fight the dog meat trade throughout Asia. In South Korea, the campaign includes working to raise awareness among Koreans about the plight of meat dogs being no different from the animals more and more of them are keeping as pets. 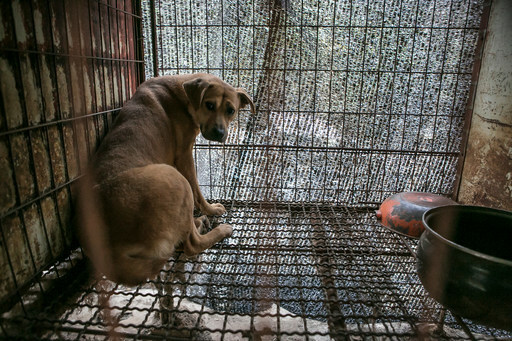 A UK-bound dog is shown locked in a cage at a dog meat farm in Namyangju, South Korea, on Saturday, August 18, 2018. The operation is part of HSIs efforts to fight the dog meat trade throughout Asia. In South Korea, the campaign includes working to raise awareness among Koreans about the plight of meat dogs being no different from the animals more and more of them are keeping as pets. Nara Kim, Campaign Manager in South Korea of HSI, holds a puppy at a dog meat farm in Namyangju, South Korea, on Saturday, August 18, 2018. 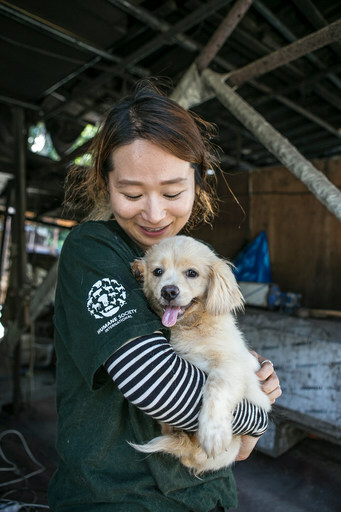 The operation is part of HSIs efforts to fight the dog meat trade throughout Asia. In South Korea, the campaign includes working to raise awareness among Koreans about the plight of meat dogs being no different from the animals more and more of them are keeping as pets. Downloads are available for journalists only. Login required. Beginning download . . .